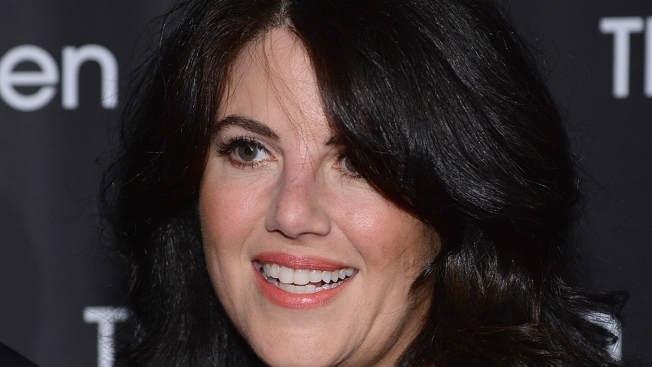 This May 22, 2014, file photo shows Monica Lewinsky in New York City. Lewinsky is taking exception with an upcoming special bearing her name. Monica Lewinsky isn't too pleased with the title of an upcoming TV special about her affair with President Bill Clinton that led to his impeachment. Lewinsky tweeted a screenshot of a headline about an HLN special, "The Monica Lewinsky Scandal." She crossed out the title and suggested replacing it with "The Starr Investigation" or "The Clinton Impeachment." She quipped in the tweet: "fixed it for you. you're welcome." The special is part of HLN's true crime series "How It Really Happened." The show's website lists the title of Sunday's episode as "The Clinton-Lewinsky Scandal." Clinton initially denied the affair before admitting to it in 1998. "The Starr Investigation" is a reference to Kenneth Starr, the independent counsel whose investigation led to Clinton's impeachment trial. Clinton was acquitted by Congress.